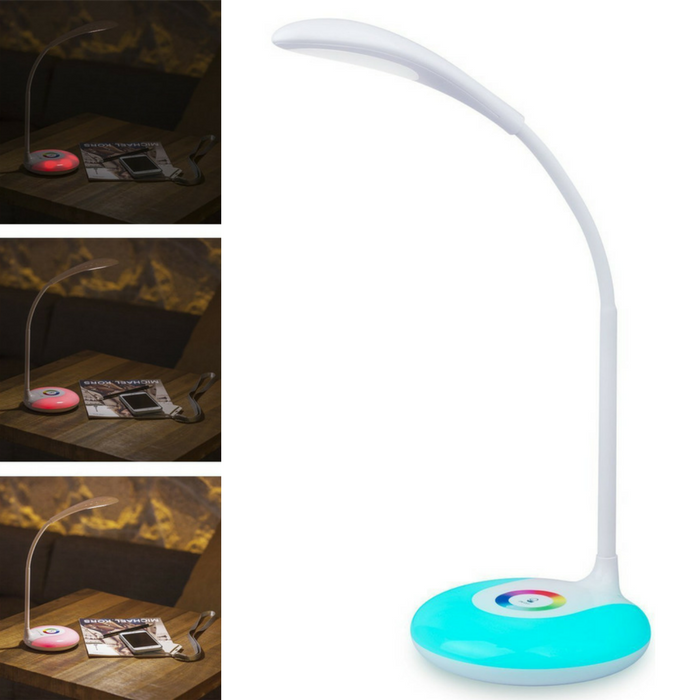 LED Desk Lamp Just $16.99! Down From $49! You are here: Home / Great Deals / Amazon Deals / LED Desk Lamp Just $16.99! Down From $49! Amazon is currently offering this LED Desk Lamp for just $16.99 down from $48.99 PLUS FREE shipping with Amazon Prime or for orders $25 or more! Designed with the flexibility to bring light to your creative ideas and projects. Set up the perfect lighting with touch control, brightness adjustment, and wireless portability! This is great for your kids when studying or at your office. Care Your Eyes – Energy-efficient LED provides flicker-free lighting for reading, working, studying and sleeping. Colorful Night Light Base – Choose the perfect mood of the atmosphere with a full color spectrum of base lighting control. Touch Control – Sensitive touch control for easy lamp brightness and the color of the night light base adjustment. Mobile Use – Rechargeable 1000mAh Li-on battery for everywhere using and light up to 2.5-6 hours for wireless using.